Eating at a restaurant has you coming home more stressed than relaxed. 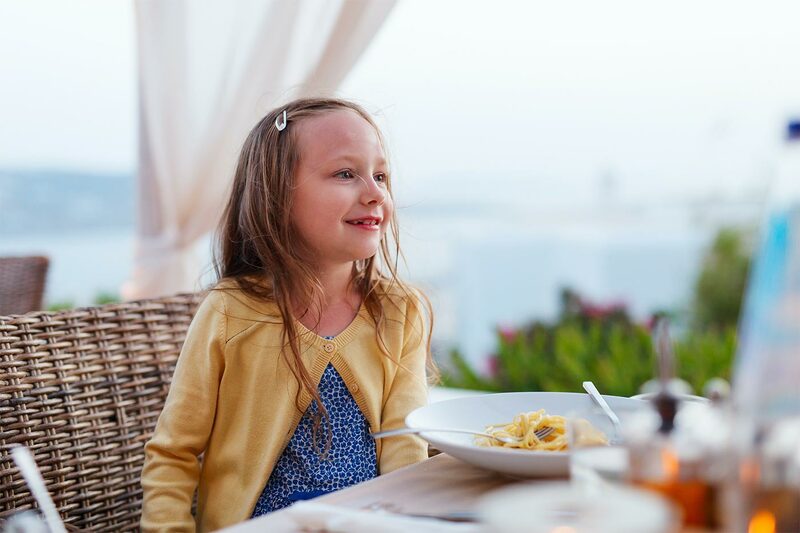 Learn ways to enjoy a restaurant meal with kids, even without screens. With three kids, I’ve had my fair share of restaurant madness. Just last night, one of my three-year-olds kept switching seats and wouldn’t stay put. It didn’t help when he dropped one of his burger buns before he even had a bite of it. Definitely not easy. But each time I’ve gone, I pick up more tips to enjoy a restaurant with my kids. Now, for the most part, they behave well in restaurants. 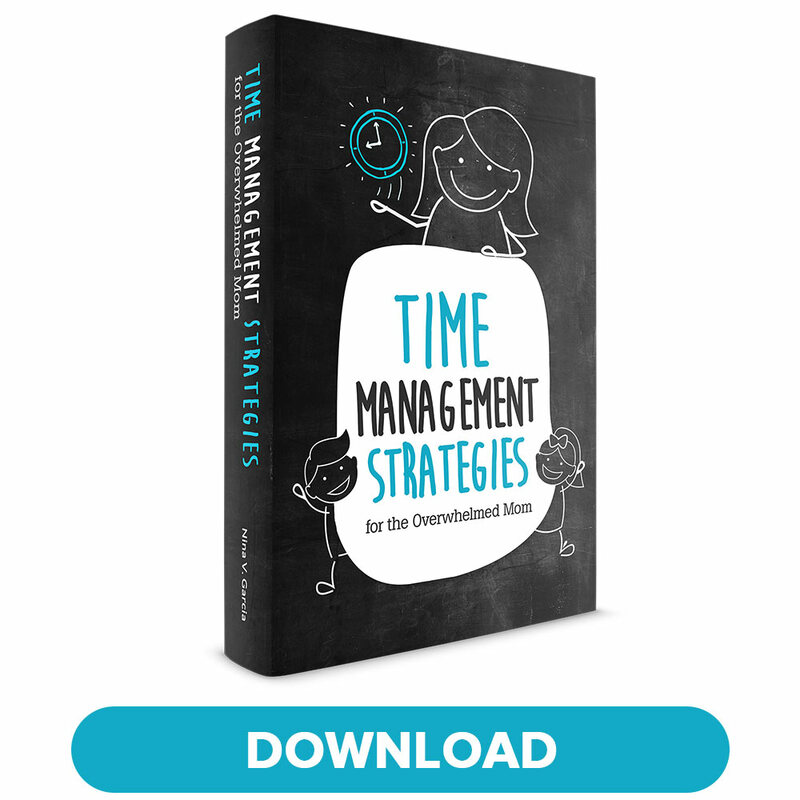 What makes our situation unusual is we don’t rely on common “distractions.” Things like smart phones or tablets, snacks or walking them around the restaurant. We don’t even limit ourselves to “kid-friendly” places—they’ve eaten at loud diners and fancy tea rooms. And I rarely bring snacks to restaurants. I time our outing so we arrive right when the kids should be hungry. I also want them to enjoy the restaurant’s food, not a box of raisins or apple slices. And I want them to enjoy the restaurant for what it is than to see it as something to get over with. If we can’t enjoy a restaurant with kids, what’s the point of taking them? So, without screens, snacks or kid-friendly restaurants, how can you enjoy the experience? Timing is the first thing I consider when going to a restaurant with my kids. Currently, our ideal time to go is arriving at 4:30pm. By the time we’ve settled in and our food arrives, it’s 5pm, the time they eat dinner at home. Sometimes it’s hard to time your meals, or it just doesn’t work out. A few months ago, I joined my siblings at a steak house that didn’t end up serving dinner until 6pm, well past hunger point for my kids. In those cases, rely on bread and appetizers, as well as engaging them in conversation. You’ll also want to go to a restaurant after your kids have had their needs met. This means after a good nap, a clean diaper or potty break, and relaxing downtime at home. A positive restaurant experience begins with the expectations you establish, even before you enter. Talk to your kids about sitting at a table while someone takes your order. Behaving because other people are trying to enjoy their meals and waiting for the chefs to cook your meal. If you’ve been to the restaurant, describe what they might see. Talk about the food they’ll likely eat, and which cuisine it’ll be. Paint a picture of what to expect so the experience is less surprising for them. Not only should you establish expectations, you should set them high. Let your kids know that eating at a restaurant is a privilege and a treat. That any misbehavior means they won’t be able to do this as often. And that you believe they’re capable of behaving well. 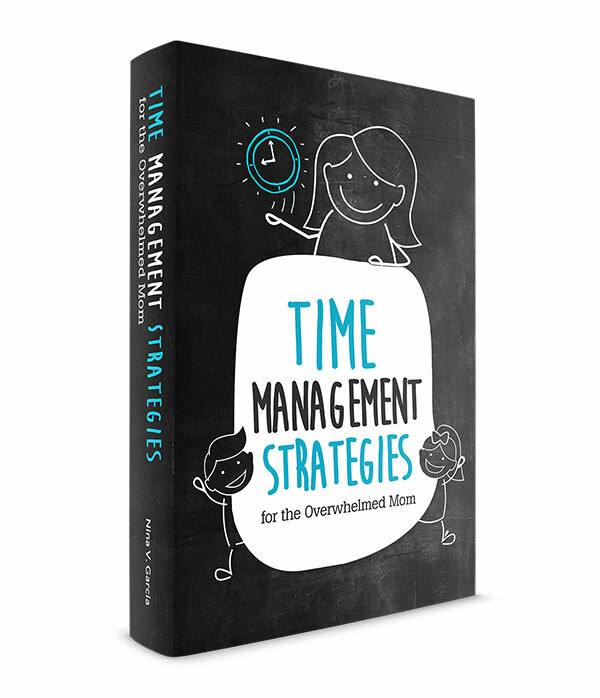 Kids will meet our expectations, whether we set them low or high—might as well set them high. They’re more likely to feel like we trust them to behave. If they feel like you already assume they’ll misbehave, then they’ll do just that. Let’s say you still have to cut your child’s food. Spend a few minutes up front to cut them up, then encourage her to feed himself. You’re giving her the autonomy she craves to eat whatever way she wants. You’re also saving yourself time from spooning food into her mouth. And you’re able to enjoy your meal while she enjoys hers. And of course, if your child is old enough, encourage her to feed herself. Hand her a fork and a safe knife to cut her chicken, or a spoon to scoop her rice. Never mind if it’s not how you’d do it, or if clumps of rice end up on the table. 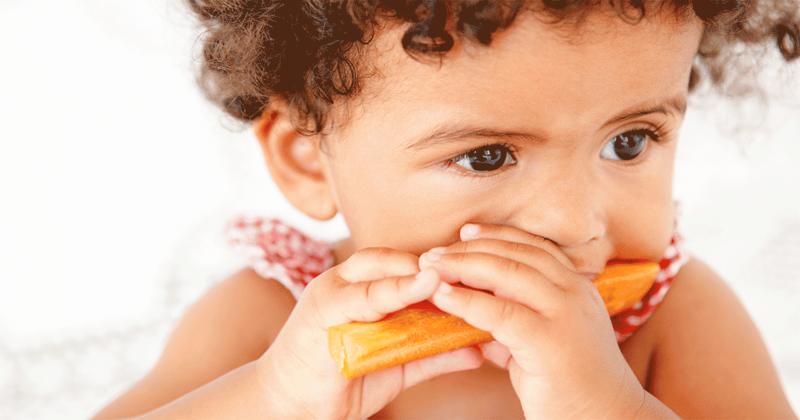 When possible, give your child the autonomy to eat the way she wants. If your child is still too young , alternate between feeding and eating yourself. Don’t wait until your child has finished his meal before starting yours. Not only will your food be cold, but now he’ll have to wait a while until you finish your meal. Instead, eat together. Scoop a spoonful into his mouth, then eat your meal right after. The best plan? Alternate with another adult so that both of you take turns feeding the baby. You know how at restaurants, the waiter asks for your drink order, brings it, and then takes your food order? Save time and order all your meals in one conversation. If you can, scan the menu ahead of time, whether online or on your phone in the waiting area. That way, you can place your order with your drinks a few minutes after settling in. Then, once you get a sense that you’re wrapping up your meal, ask for your check. You can even ask for your check once they bring your order. But I tend to wait until it looks like we’re about to finish up. Dinner time, whether at home or at a restaurant, is a time to engage as a family. Talk to your kids, and not with a mindset of distracting them from boredom. Instead, have a genuine interest in what they’re thinking. What did you do at school? Why is that napkin folded that way? How many people do you think are in the restaurant? Talking will help you enjoy your time more than if you sat impatiently waiting. Use waiting time to talk to your child. Before you step into a restaurant, your child’s behaviors will reflect your own dinner table. If you allow him to throw food, get in and out of his seat or yell at home, he’ll do the same at a restaurant. Instead, set high expectations of how they should behave at the dinner table. Dinners at home will be more relaxing than at a restaurant, of course. But you should still establish responsibilities and expectations at home. For instance, don’t allow gadgets that would distract them from conversation with others. Expect polite behavior and kindness to one another. Don’t tolerate rude comments about the food. And use the time to reconnect after a day apart. Good behavior starts at home and will translate well into a restaurant experience. 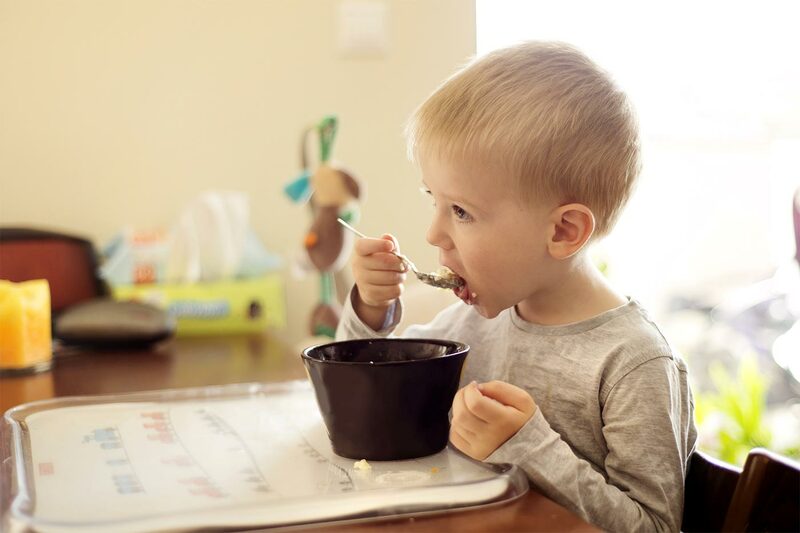 Read more about encouraging good table manners. Encourage good table manners at home to make for an easier time at restaurants. No more embarrassing outbursts or weird glances from restaurant patrons. No feeling more stressed in what should be a relaxing family meal. You can enjoy a restaurant with kids, even without distractions. It may even be the absence of those distractions that will teach your children to behave well. It’s about planning your outings well and focusing on family interaction. Teaching your kids this is a privilege and a positive experience, not one to get over. Expecting good behavior both at home and out and about. And soon, you’ll be able to enjoy a restaurant outing with your kids—and actually eat your meal while it’s hot. 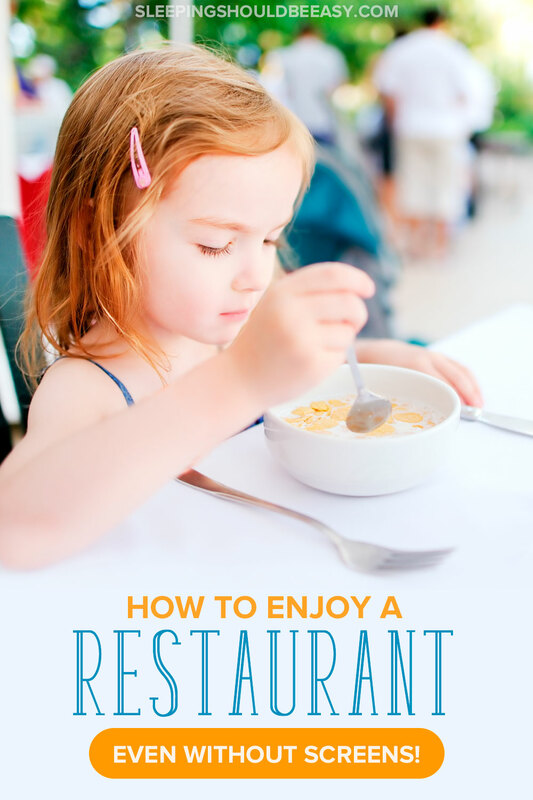 Tell me in the comments: How do you make sure you enjoy a restaurant meal with kids? I have to admit … we just started taking our three kiddos out to dinner in the last six months. Before that, we would get the food car side to-go! What made the big difference for us was the restaurant that we went to. We go to Texas Roadhouse when we want to go out to dinner with the kids. They are super family-friendly, the noise level is way too loud to hear any of our kids screaming or squirming, and the rolls and honey butter coupled with being able to throw the peanuts shells on the floor keep everyone busy. Going to the right restaurant definitely helps! Starting with kid-friendly ones is the way to go. And I can imagine what a novelty it is for the kids to throw the peanut shells on the floor! And yep, my boys love water in restaurants. They drink it at home too, but with the way they drink it at restaurants you’d swear they were thirsty all day lol! Great suggestions for dinner conversation. I can’t really that the kids are always on electronic devices, either. I find myself checking email, social media, and other apps for updates. It takes making a conscious effort to connect with family. That’s always the hard part—modeling the behavior! It’s so easy to get sucked into checking your phone. Even when I’m doing something “productive” on the phone, I still feel guilty or that I have to explain to them what I’m doing lol. Oh boy, my hubby and I always say we will never take the kids out again after having an embarrassing situation happen in a restaurant. But like most of us, we never follow through and of course take the kids out yet again. It takes time and patience to develop a good system for eating out at restaurants. I definitely agree with your tips, we tell our kids what it’s expected of them and how they are suppose to behave when we go out to eat. We also limit the phone usage because then they are going to get used to it. My kids love eating by themselves, so like you, I cut their meats or pasta and they eat by themselves, it’s amazing and messy, haha! Well said about the system. Only in getting out will we learn what works and what doesn’t for our kids. I remember when our eldest was a toddler and we had to straight up leave the restaurant because of his outburst. Thankfully it was already time to go anyway lol! I like how you say that you go to the restaurant about a half hour before your kids usually eat so that you’ll be getting your food at the time it usually comes in. That sounds like a great idea. My husband and I want to take our toddler out to eat for his birthday this weekend. We’ll have to arrive a half hour early and find a good restaurant to go to.